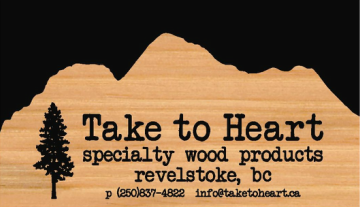 Take to Heart is a Canadian family-owned operation located in Revelstoke, BC. We manufacture the highest quality custom wood products, using an environmentally-conscious approach. Visit Take to's profile on Pinterest.